The oh-so-Mediterranean Turquoise Coast is lined with one beautiful beach after another making it a real winner with those after summer sun, sea and sand. 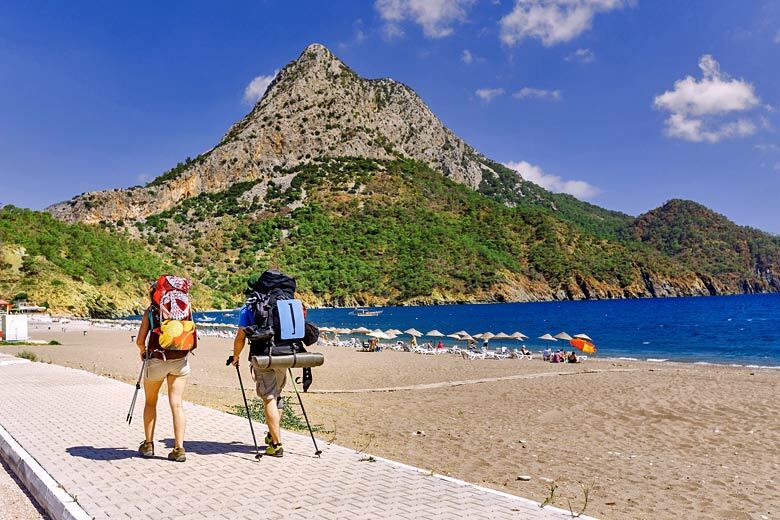 From well-equipped stretches in bustling towns like Antalya to secluded bays and more remote hidden coves, here, we share some of the very best beaches worth seeking out in this region of southwest Turkey. 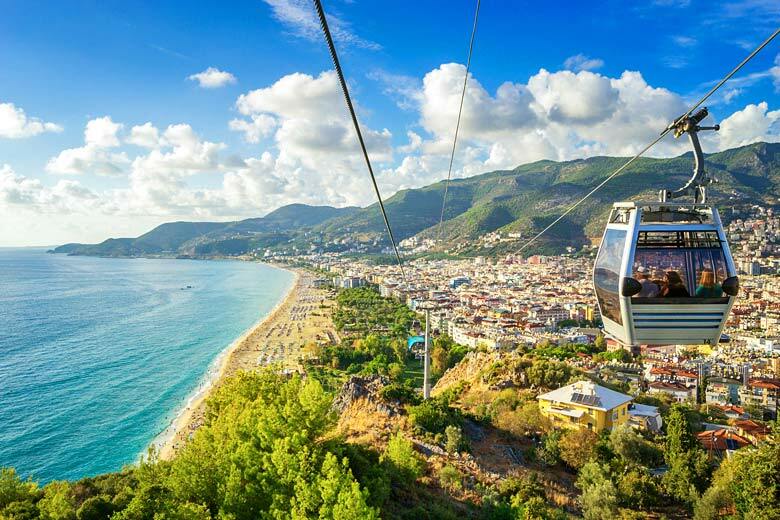 How to reach the beach: getting to Antalya this summer is super simple thanks to all inclusive guru First Choice, which has countless deals on escapes to resorts for all budgets along Turkey's Turquoise Coast. Welcome to the longest beach in the Antalya resort of Alanya. From the old harbour to a sand-laced peninsula, lapping waves fringe endless Blue Flag shores. Parents adore it. Lifeguards paired with shallow depths render Keykubat Beach a family-friendly option. 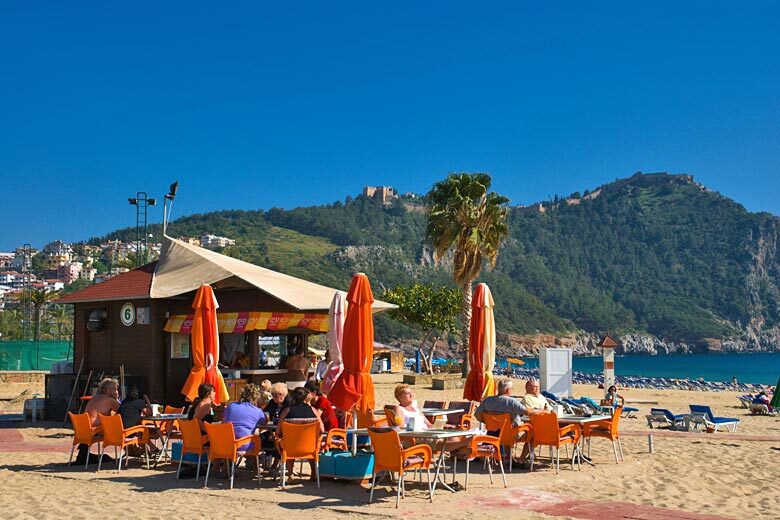 The beach is also lined with a promenade selling eBike tours, fresh fruit and Turkish gözleme pancakes. The best time for a stroll is sunset. Seafood barbeques and sheesha cafés fragrance the warm evening air, as restaurant terraces spill onto the pedestrian streets. It's said that lover, traveller and all-round hedonist Cleopatra breezed into this sandy-bottomed bay during a Mediterranean cruise. Cleo was clever because this Alanya beach curves for two miles between two forested cliffs, ensuring safe swimming in the protected bay. Two other factors rank Cleopatra Beach as a family must. Firstly, the turquoise waters play host to inflatable climbing frames and pirate ship tours. Secondly, behind the beach sits a palm-shaded promenade dotted with tea shops and ice cream vendors. Holidaymakers who book a hotel in the Antalya district of Belek have 10 miles of sands to choose among. This endless Blue Flag shoreline caters for every type of holiday: bustling beach bars, tranquil siesta zones, organised games or enough empty space to fly a kite. Its most Instagrammable shot is the parascending boats that cruise past every 15 minutes. Brave souls can carry a GoPro camera high above the waves on a tandem flight. Tired of the beach? Several PGA standard golf courses sit right behind the sand. Note that the all-inclusive resorts here rank among Turkey's finest. Lara Beach is long, sandy and action-packed - and backed by several of Turkey's top hotels. Imagine five miles of beach bliss interspersed with dive jetties, water toys and barbeque joints. Privacy seekers and beach bums are catered for. Choose between wilder sections with ocean rollers or toes-in-the-sand bars with parasols and waiter service. Beyond the beach? It's all about the world-class resorts. Lara Beach in Antalya is a land of hotel breakfasts, sun-drenched waterslides and more tennis courts than Wimbledon. Konyaalti Beach ranks among Antalya's biggest and best. The endless seascape is framed by the Taurus Mountains, which often remain snow-capped through summer. Konyaalti's USP is its urban location. Hike up from the beach to see Antalya's world-class Archaeological Museum. Its location also makes Konyaalti popular with wealthy locals who call in to stroll the freshly renovated promenade. The seafood restaurants and alfresco cafés are similarly classy. Hidden under Antalya's historic old town is a seafront surprise. Duck through linen stores and orange juice stalls down a forested path to arrive at a clifftop panorama. Steep steps lead down to a beach of paradisiacal beauty. Mermerli Beach is a sliver of fine sand protected by handsome cliffs, all fragranced by rock samphire and thyme. Sun loungers are dotted hither and thither; some on a stone jetty, others directly in the shallows. The water? It's write-home-about clear - not to mention deliciously warm between June and September. Swim out to see Antalya's ancient harbour. Here fishing boats chug in with the evening dinner catch. 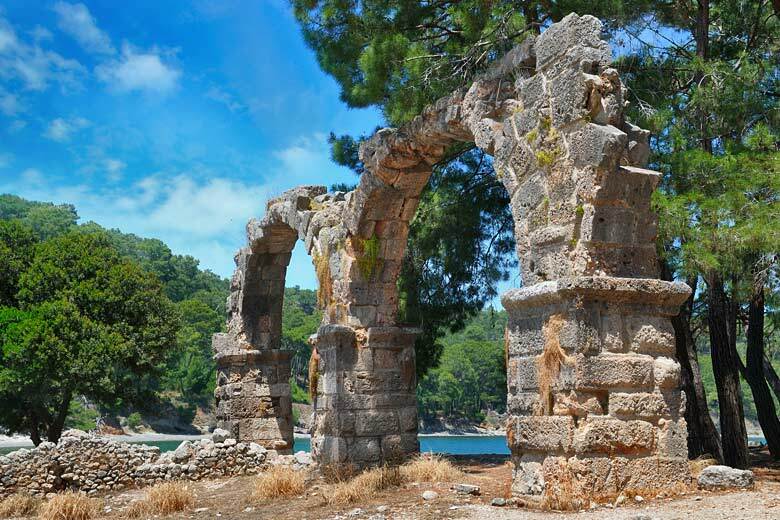 Beaches don't come more bucolic than Phaselis (which sits around 15 km south of Kemer) for two shocking reasons. Firstly, Phaselis is a perfectly preserved Roman settlement that sits within a national park. The 'main street' is a boulevard of stone columns and songbirds. You won't find a guesthouse, souvenir shop or piece of litter anywhere. Secondly, Phaselis isn't one beach but three. The pine-fringed peninsula that encloses the ruins has three swim spots. There are no facilities; just make like one-time visitor Alexander the Great and jump right in. Cirali lies within Turkish Forestry Commission land, making these sands the region's most virgin. That means facilities are a bare minimum, with greater protection given to nesting loggerhead turtles than to visiting tourists. Hike west to a stepping stone stream for another thrill. A minor archaeological site is slowly sinking into both sea and copse, with creepers growing over an abandoned hammam steam bath. Gulet cruise boats anchor here for another reason. A hike above Cirali Beach brings visitors to the Chimaera. Here everlasting flames jet out of the rocky moonscape due to unique methane emissions. The sense of arrival makes Adrasan Beach kick-back-and-relax territory. Travellers can putter in on a dayboat from Antalya, disembarking like pirates into a secret cove. Alternatively, hike from equally chilled Cirali Beach through forests of olive and pine. Either way, you'll deserve a Turkish tea from one of the hippy cafés. Sun loungers are available to rent too. Got your second wind? Strong kayakers can paddle to even more secluded coves on Adrasan's northern edge. A long hiking trail also leads to the only-bloke-on-the-beach cove of Sazak. When it comes to Antalya, it's all about the sunshine. This stretch of Turkish coast is doused in sun for as much as 13 hours per day at the height of summer, not to mention delightfully hot, with warm sea temperatures to boot. 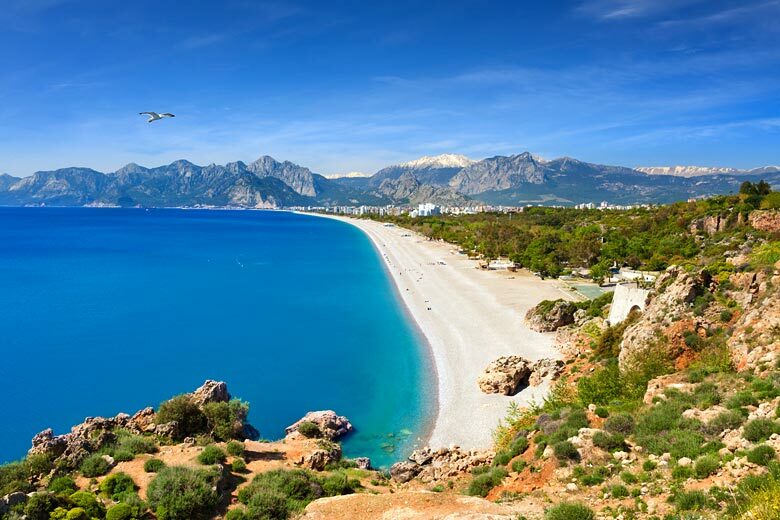 The weather along Antalya's coast is also superb in spring and autumn, especially if you don't like things too hot. As well as the climate guide above, you can also see when we think is the very best time to go to make the most of these long, lean beaches. Packing your beach bag? See our collection of deals from First Choice, which offers all inclusive holidays to Antalya from both major and regional UK airports.